BRAND NEW TWO BEDROOM HOME - Show Home Launch Event - Saturday 4th May. This semi-detached and spacious two bedroom home is ideally suited for first-time buyers and those looking to downsize into the picturesque village of South Littleton. 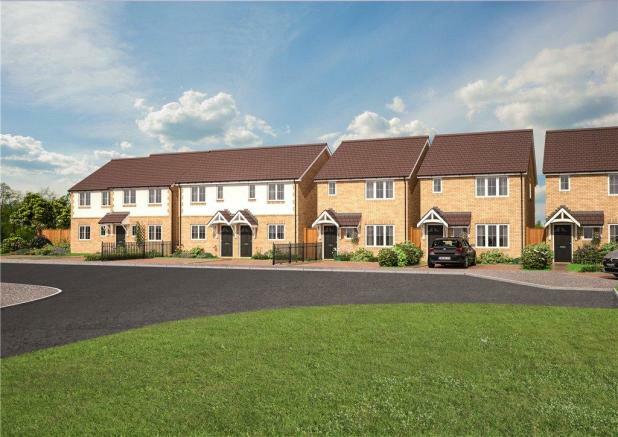 Situated within the exclusive development of just ten properties at Littleton Fields, this is an exciting opportunity to purchase a beautifully designed and high-quality new home with the op[tion to use the Help to Buy interest free equity loan. The ground floor comprises an entrance hall which leads to a modern and high-spec kitchen. There will be an opportunity to bespoke both the kitchen cabinets and worktops subject to build stage at the point of reservation. The added benefit of an integrated fridge-freezer, oven and gas hob come as standard within these exceptional homes. A separate living room is situated towards the rear, with the French doors leading to the sizeable south-west garden, bathing the room in light. The rear garden has the added benefit of a patio area perfect for summer BBQs. The spacious lounge offers plenty of space for a dining table and is an ideal entertaining space. A downstairs cloakroom completes the ground floor. Two spacious double bedrooms can be found upstairs, with the master bedroom situated at the rear of the property. 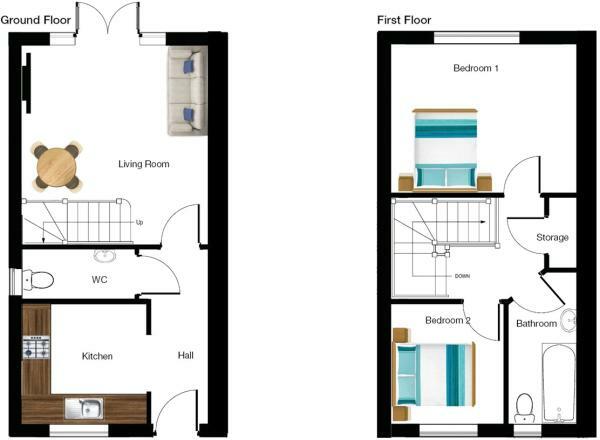 Both bedrooms are of a similar size and are served by the modern family bathroom which features a white suite comprising bath with shower over, full height tiling around the bath and sink with splash back. The first floor also has the benefit of useful storage space in the form of a large cupboard situated on the landing. Each home at Littleton Fields offers the chance to create your own dream home with a choice of flooring, tiling and additional extras allowing you to design the home you have always wanted. 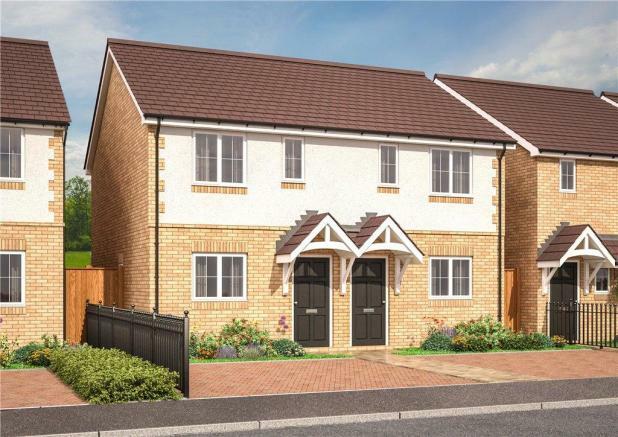 The properties are available to purchase with the assistance of a Help to Buy 5-year interest-free equity loan, meaning you could purchase one of the stunning two bedroom houses with just a £10,250 deposit. In addition, each property comes with a private driveway for 2 cars along with a 10 year Premier Guarantee warranty. To find out more and book your appointment to view our show home on Saturday 4th May between 10am and 2pm - call us on 01386 47534. *Property imagery, CGI's and floor plans are representative of the development, but may vary from plot to plot or depending on final specification selected following reservation. Disclaimer - Property reference LNH180119. The information displayed about this property comprises a property advertisement. Rightmove.co.uk makes no warranty as to the accuracy or completeness of the advertisement or any linked or associated information, and Rightmove has no control over the content. This property advertisement does not constitute property particulars. The information is provided and maintained by Leaders Sales, Evesham. Please contact the selling agent or developer directly to obtain any information which may be available under the terms of The Energy Performance of Buildings (Certificates and Inspections) (England and Wales) Regulations 2007 or the Home Report if in relation to a residential property in Scotland.